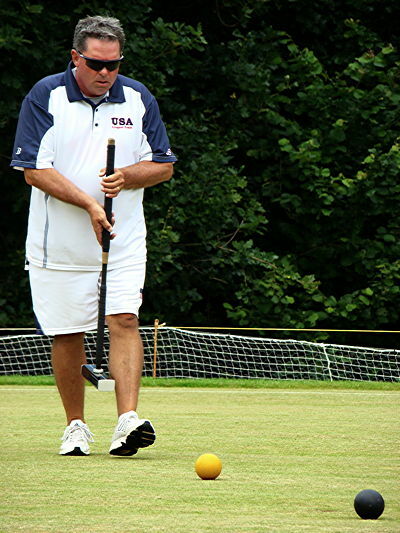 NC players Danny Huneycutt (Lexington) and Jeff Soo (Durham) were part of the victorious United States Croquet Team in its successful defense of the Solomon Trophy. The annual match against Great Britain was held June 28 – July 1 at the Hamptworth club in Wiltshire, England. Huneycutt, USA Team Captain, won the match that gave USA an unassailable 11-6 lead. Both players were also members of the team in 2009, when USA won the trophy for the first time ever. The 2011 win is both the first win against GB on their turf, and the USA’s first successful defense of the Trophy.